It is always an emotional time for everyone involved to transition their loved ones to an assisted living facility. That is why finding the right memory care facility is crucial. If you are worried that nursing homes are like prisons, don’t be. 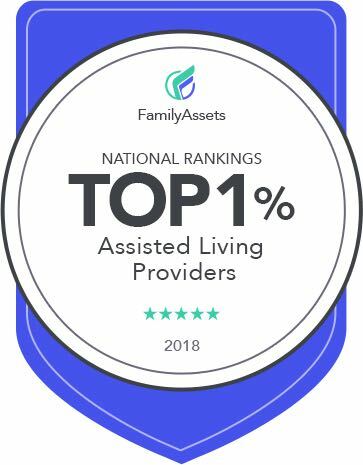 Assisted living communities have certainly changed over the years, and the best ones now offer home-like environments and genuinely compassionate care. The best ones even offer daily activities that residents can enjoy. They also provide therapeutic programs that can address each stage of dementia or Alzheimer’s disease and their corresponding behavioral issues. Most people think that memory care facilities isolate their residents from other people. This is not true. In fact, assisted living facilities that specialize in memory case ensure that their residents are always kept happy and well-socialized. They provide therapeutic and specialized social programming on top of leisure programs. Memory care facilities constantly evolve to help provide assistance to patients who are suffering from memory loss and dementia. Unlike regular assisted living and healthcare facilities, memory care facilities are secured and are designed to reduce any risks of wandering. Even its hallways are color-coded to make it easier for residents to find their way through the building. The premises are designed to help residents stay as independent as possible for as long as they can. Well-established memory care facilities located in San Antonio, TX are experts at recognizing the different stages of dementia that their residents have, making it easier for them to personalize their care. It may be a tough decision, but putting your loved ones in a memory care facility may be the best way to ensure their safety. Don’t worry—you can always visit them from time to time to make sure they’re doing well.